This country is mad about property. I realised this very early on when I moved here from Germany. Before I came, I cannot recall ever having had a serious conversation with anyone about buying property. That is not to say that Germans don’t buy property, contrary to the cliché they do. But they buy it for different reasons. In particular, owning property is not important for someone’s social status. Not so in the UK. Here, most people seem to think that you must have done something wrong in your life, if you don’t end up owning at least the property you live in. On the subject, the media constantly quotes the average age of first time buyers. The reason they are called first time buyers is because many people change properties a few times in their lives, moving up something called the property ladder. When I first heard the phrase ‘property ladder’, I had no idea what it meant. It actually took me a while to understand it. It simply does not exist in Germany. Germans do not buy houses with the intention of selling them again for a better one in a few years time. Instead, if you buy your own property, the idea is to buy one in which you would be able to live until the end of your days. As a result, the vast majority of property owners I know bought a piece of land and build their own tailor made house on it. Since there is only enough space to do this outside of cities, you find a lot of people owning property in the countryside while the majority of people in cities are renters. As a result, renting is a perfectly acceptable alternative to owning. In fact, I know a number of people who sold their property, which they owned dept free, to be able to enjoy renting again. Preferring renting over buying as a choice probably makes very little sense to the average person in Britain. There are certainly some cultural reason for this mentally difference. However, it might also have a lot to do with the way the property markets work in both countries. Renting makes sense in an environment in which property prices are relatively stable. If you look at property prices in Germany, they tended to not move much over the past decades. That means property has not been an investment with which most people could make a lot of money through capital gains. That is not to say that property prices in certain trendy areas have not gone up at times. These however are very local phenomenons and are not characteristic for the whole property market. Overall, property prices have been fairly stable. In fact, if anything, house prices have gone down in many areas. This makes sense, since most people want to own houses as a lifestyle choice. They want to own their own tailor made house. People who think like that are reluctant to buy used houses. And so, over time, as the owners of their own tailor made houses die, in many areas you find these houses on the market for a significant discount compared to new builds. If it wasn’t for foreign buyers like Russians and Turks to come in and buy these used countryside houses, these properties would probably now be on the market for next to nothing. The idea that an asset that does not produce anything should go up over time makes very little sense. Usually, for that to happen, one would need to speculate that the area will become more popular within the next decade or so after the purchase. This however would be less of an investment and more of a speculation. In all other scenarios, not only are houses unproductive, they are naturally depreciating in value. Capital has to be constantly re-invested in order to maintain them. The only investment part of property is the fact that we have very little choice but to not live in one. That means we will have to spend some money on property one way or the other. 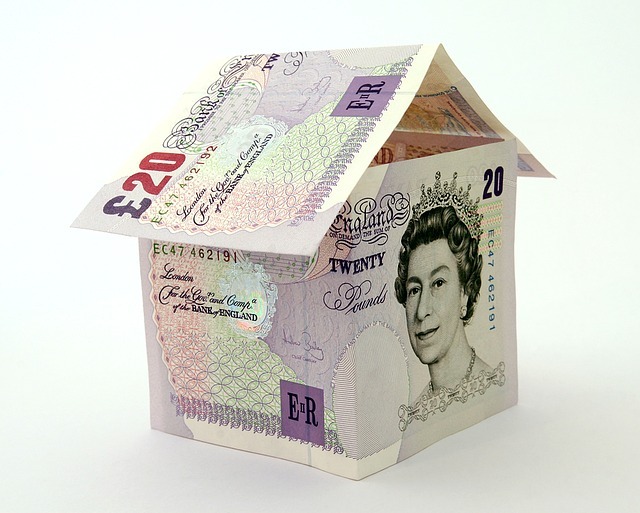 However, the only way of reliable getting a return on a property investment is to charge a tenant rent. In a market of stable prices, owning property as an investment therefore is only attractive if there isn’t an investment vehicle with a better, or at least equal, return on your money. But of course, there are plenty of more liquid investments that are more attractive. For most people, the only advantage of property investments is that they can understand them, which is not true for a lot of other investment vehicles. That is certainly very important. Nevertheless, in an environment of stable house prices, renting vs. buying is more a choice of lifestyle rather than a great investment. In the UK however, house prices have gone up everywhere over the decades. That is a very weird phenomenon. In such an environment however, it makes sense that people start to perceive it as a good, or even a ‘get rich quick’ investment. Indeed, given that most people buy houses with leverage, in the rising British house prices environment we can find a lot of stories of people becoming very wealthy with very little starting capital. Something similar has been happening in Germany since I left in 2008. The financial crisis has lead to a lot of money flowing from all over Europe into the German property market. This has inflated property bubbles in bigger German cities. And I noticed that suddenly property has become a real topic. However, as I have tried to explain, a property market that is going up is usually a symptom of a flawed market. There are policies that tend to inflate property bubbles. In the UK, the bubble certainly started with monetary policy. Credit was and is readily available, at cheap prices, to buy property. This does not seem to be a natural phenomenon. In a free market, credit would only be available as a consequence of someone saving capital and lending it out. In that scenario, if someone wanted to get a mortgage, he would need to convince someone else to lend him his hard earned savings in order to buy what is essentially an unproductive consumer good. That seems like a fairly risky thing to do for the investor. Why would anyone put his savings into a consumer credit when there is the possibility of putting it into a productive business that will give him a share of its income? At the very least, for this to be attractive for an investor, the interest paid on such a loan would need to be higher than an expected rental return. Otherwise, the investor would be better off investing the money directly into the property. That means the person borrowing the money would definitely lose compared to renting. If renting was cheaper and the consumer applying for the mortgage was credit worthy, then why would he not save up at least most of the money and then eventually pay cash for the property? This is of course what we saw in times of sound money. People just paid cash for their property or rented. I would not go as far as to exclude the possibility of mortgage products on a free market. Mortgages however would need to be significantly more expensive as they are today, in order to give investors a better return than other, saver investments. Or they would just been issued on top of a very large deposit. On the whole, within a sound money system, I would expect property to be largely a cash payers market. Such a market would be fairly stable and almost certainly a lot cheaper. But of course we have the exact opposite of that. In this country, someone can buy property with a 10% deposit and interest rates of 3-4%. This is massively boosting demand. Contrary to what a lot of people seem to believe, demand is not the number of people who want to buy, but the amount of capital that is available to buy. In the monetary system of today, currency units for mortgages are created out of thin air. That means that the amount of money available for mortgages is essentially determent by politics and not by the market. The lower the interest rates of the mortgage, the cheaper the monthly payments. That means, with falling interest rates, people can borrow more and more money and can therefore drive up house prices. The problem comes when interest rates rise. Currently, interest rates are at a historic low. So they are unlikely to fall further from here. It is more likely that they will go up in the near future. If that happens, a lot of people will have trouble to make their monthly mortgage payments. They will have to sell their property to settle their dept. But of course at that point a lot of people will have to do that. Eventually, this will result in a run to the exits. Consequently, house prices will fall significantly. There is however one alternative to this scenario. What if the government forces interest rates to stay low? This would be in its own interest, since it is a big borrower itself. In that case we would probably see inflation rising before interest rates. If everything else rises in price, but property does not, then house prices would fall in real terms and would therefore be able to return to a normal level eventually. Economically, inflation is the worst way out of the bubble. It will punish savers and reward people living beyond their means. It will continue to allocate a lot of capital away from the productive to the unproductive sectors of the economy. A lot of wealth would not be created and we will all be poorer than we would otherwise have been. Unfortunately, while this is the economically worst option, it is politically the best. That is why politicians will try everything to create the inflation endgame. Whether they will succeed or not will depend on whether they can limit inflation to the right amount. But if history is a lesson then we know that inflation has a lot to do with psychology, and it can quickly run out of control. The odd thing about the property bubble in Britain is that it seems it will need this scenario in order for prices to return to normal. Usually, property bubbles end quite differently. When prices of something go up, this will attract businessmen who want to cash in on these rising prices. In other words, they will try to create more supply of the desired good. In case of property, this means that one would expect there to be a massive boom in building. Such a boom would create an oversupply in property. As a consequence the market would run out of buyers and prices would fall significantly. This is what we find in most places with property bubbles. Spain is a good example. After joining the Euro, it had a massive property boom financed by cheap dept. This created an excessive building boom. Eventually the bubble bursted, as a lot of these new builds did not find buyers. Investors got burned, prices came down. You can still see lots of house ruins all along the Mediterranean cost line. Housing is now cheap in a lot of parts of Spain. Britain however, and especially London, seems to be very resilient to this outcome. The main reason for that is state planning restrictions. It is very difficult and often expensive in this country to get permission from the government to build a new property. And permission you will need. This keeps a very artificial lit on supply and therefore keeps the bubble going until, sometime in the future, the above scenario will kick in. As a result, house prices are not just high, you also get very small and old property for your money. Britain has one of the oldest housing stock in Europe, as well as one of the smallest average room sizes. It is obvious why buildings are old in the absence of new builds, but why do room sizes shrink? The reason is that entrepreneurs want to cash in on the rising housing prices. Since they cannot build new properties, they are trying to create more supply within the means available. One thing that is possible under current planning restrictions is to divide the existing properties into more units. And that is what has been happening excessively. Most of the nice big victorian houses in London, which used to be the homes of single families, are now divided into several units of flats. In the same fashion, big rooms are often divided to make them into two or more bedrooms, thus the shrinking room sizes. Speaking of bedrooms, there are several things that are odd about how to describe properties in this country, and which helps to disguise the misery of the state of housing. When I was first flat hunting in England, I had trouble understanding what the advertisements meant. The problem was not a language barrier. The way property is measured in this country is simply very different from Germany. In Germany, the first thing you will see advertised is the size of the property in square meters. This is followed by the number of ordinary rooms, plus kitchen and bathrooms. So an advertisement would read “Flat in Cologne Sülz, 900 €/month, 72sm, 3 rooms, kitchen, bathroom”. Not so in this country. For some reason, properties are measured in bedrooms. And bedrooms come in only two sizes, single and double, that is it. Actually, increasingly it is only double, since every room that somehow fits a double bed is called a double. And if you cannot squeeze in a double bed somehow, well, then it really is a stretch to call it a bedroom at all. This is all very confusing. It says almost nothing about the actual sizes of the rooms, let alone the whole property. And you usually will not find more precise information anywhere. As a result, it is very difficult to make out how much space you get for your money. Things are a bit better when you are buying a property. If you look for it, you can usually find more precise size numbers somewhere. But they are not advertised very openly. Of course this way of measuring properties makes it very easy to shrink the sizes of the units more and more, since the priority is the quantity not the size of the rooms. This oddity, of not getting clearly defined unit sizes, continues in other statistics. One of the most important statistics, which is quoted all over the media, is average house prices. I tried very hard, but have so far failed, to find out how exactly this average house that they are trying to measure is defined. It never says. It just says average house price. It is completely absurd to have a statistic that never defines what it is actually trying to measure. In most parts of the world, cost for housing are measured in price/sm or price/sft. This at least makes it possible to compare prices accurately. Saying however that the average house price is X is meaningless without a clear definition of what you are measuring. This once again disguises the fact that these average houses are shrinking in size. It is a bit like the joke when someone says, I don’t care about petrol prices, I always fill up for £30. Another way of distorting the statistics is measuring house prices in average income. This is usually a good indicator of whether prices are over or undervalued. Because everyone has to live somewhere, and buyers will eventually have to come up with the capital for a property, it is not a coincidence that historically a housing unit that a normal earner could afford tended to be around 4-5 times his earnings. That way it becomes possible to pay back the capital within a working life. However, I noticed in recent years that the media started to quote statistics of house prices not in average income as a whole, but in average income of first time buyers. This of course again is a moving target. The higher prices get, the more you need to earn in order to be able to afford the property. But even if prices go to unaffordable levels, as long as there is at least one person still buying, multiples of average first time buyers income do not necessarily have to go up. This too makes property look cheaper than it really is. The property bubble in Britain is strange in many ways. It is fascinating to see how a culture has developed around this bubble which tries to disguise the real dimension of the over valuation of living space. While the average Brit is probably naturally more keen to own property than the average German, a lot of what we are seeing is most likely people simply behaving rationally in a distorted market. Of course, at the end of the day, none of that will maintain the bubble. Markets eventually mean revert to its true values one way or the other. This is inevitable. Putting a timeline on these things however is very difficult.